Warhouse Find! 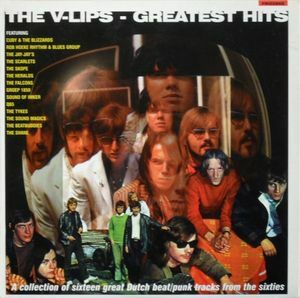 V-Lips Greatest Hits, a fabulous '60s Dutch Beat / Punk comp re-releaesed in 1999 with a different cover. The laminated jacket looks like a '60s release! Most of the titles come from singles released by Philips.